- MFN Whey Has Over 90% Actual Protein by Weight versus the typical 50-60% protein from other brands. - Just 1.8 Pounds of MFN Whey has equal amounts of protein as 3 pounds of other protein supplements (Since we do not add extra carbs or fat to make the weight heavier). Overview: Whey is considered one of the best sources of protein and is essential for anyone looking to maintain, repair, and build lean muscle mass. They also provide additional nutritional components necessary for muscle tissue, internal organs, the formation of hormones and an endless number of other functions in the body. However, not all whey protein is created equal. 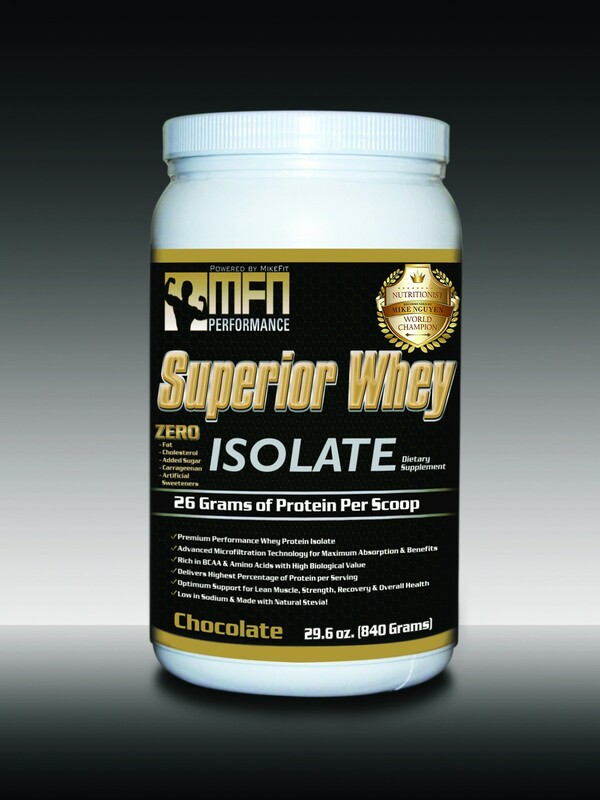 MFN Performance Superior Whey was designed to be the purest, highest quality and most perfect protein in the world. Suggested Use: Mix 1 scoop (26 grams of protein) with cold water or milk into shaker cup. Shake for 15-30 seconds and powder should be mixed perfectly. Take one serving after every workout. On rest days, take first thing in the morning or as directed by a fitness professional. 1) Microfiltration Purification Technology : When it comes to creating whey protein, special care must be taken by the manufacture in order to remove the lactose, fats, sugars and carbohydrates without losing the natural health components and sub-fractions that makes whey protein unique and beneficial. Our Whey Isolate is processed through one of the highest class of technology known as “Ultra-Microfiltration”; a method that is able to carefully remove all the unnecessary carbohydrates, sugars, and fats without denaturing or damaging the original protein. The other cheaper processing method and also most commonly used by other protein manufactures is known as “Ion-Exchange” which uses certain harsh chemicals and heat to remove the fats and carbohydrates. The major downside to this is that many of the natural health enhancing benefits of whey protein are lost through this method. Currently only about 10% of protein companies will use the same purification process as ours to make their protein. If a protein brand does not mention or state their type of purification method on the label, than you can bet it was ion exchanged. The end result is a protein that is only half as beneficial as it should be. This is one of the reasons that makes our protein not only beneficial for muscles but also overall health that you can see and feel. 2) No Artificial Sweeteners, Aspartame, or Sucralose: While we believe artificial sweeteners in small amounts on occasions are okay, we honestly suggest it's best to use only natural sweetener when it comes to long-term daily consumption. For this reason, our MFN Whey uses only Stevia Leaf, a natural sweetener than has been proven to be safe while also having health benefits such as supporting blood sugar levels and reducing risks of type 2 diabetes. 3) No Oils, No Creamers, No Fructose, No Unknown Ingredients: Our Whey Isolate has a understandable ingredient list especially when compared to other protein formulas. There are no high fructose corn syrup, no carrageenan, no butter, no creamer and no oils of any kind. (Surprisingly enough, many companies will add these unhealthy ingredients to their protein in order to make it taste better- however not the best thing for your body). To find this out for yourself, we suggest you just take a look at the ingredient list of most protein brands. It should have just 5 ingredients or less- not 30 ingredients. 4) Mixes Easily- Tastes Great: For a protein powder that contains zero fat, zero sugars, no oils, and no creamers; it tastes exceptionally great as reviewed and used by thousands of users. In addition, we were able to make our powder be easily mixed with a shaker up in just a few seconds- no blender required! 6) Zero Cholesterol & Low in Sodium : Cholesterol and Sodium is something that many people overlook when searching for a high quality protein supplements. Most protein supplements contains anywhere from 100-400 mg of cholesterol per scoop as compared to our protein which contains ZERO. Also, our protein also contains only 50 mg of sodium while others ranges anywhere from 100-300 mg sodium. I’m very weird about texture of foods. I’ve always been grossed out by chunks of dried powder sticking on to the sides of my mouth. This is actually one of the best tasting and most easily mixed protein powders I’ve ever tried. When compared to the protein powders and shakes I had lying around, I also noticed how simple the ingredients were. I never noticed all of the other bits and pieces (that I can’t pronounce) listed on the labels of the other brands I’ve previously bought. I’m very happy I tried this powder and look forward to trying the other flavors! I love that this whey protein is clean, simple and it is flavorful enough without being too much! It also has less sugars and MORE protein per scoop than most major brand name ones out there. All you get is a clean, simple, wonderful 100% whey. Love it. I've switched around between most of the "major name" whey proteins over the years and was lucky enough to land on mikefit mfn performance. This protein is by far the best protein I have ever tried. In water, juice, milk it makes no difference. I didn't think I could handle mixing my powders in water until I tried this. As for the Protein, it's not only pure whey isolate, but also has the cleanest profile. This is the good stuff, pure and simple. Tastes great with anything including water. It contains almost no carbs, no fat, and no artificial sweetener. Aside from from that, another huge plus is that this protein is so much lower in cholesterol and sodium than any other protein I have used. 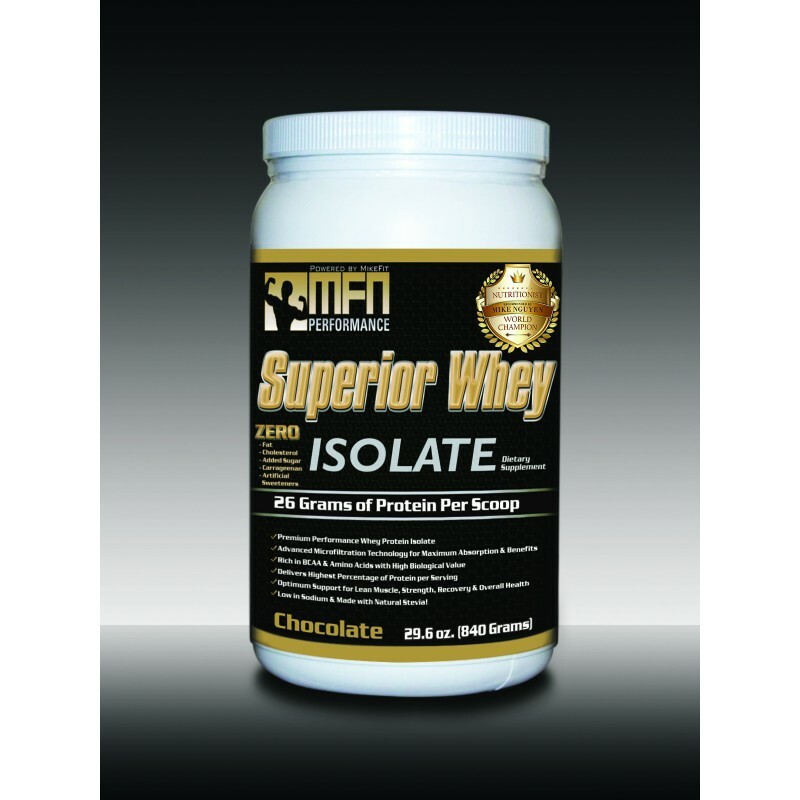 With MFN Whey isolate by MikeFit, you are getting the absolute best protein without any negative ingredients. This protein is enjoyable and healthy. I don't plan to switch to any others. A great product overall! Wish I had been introduced to this protein sooner. 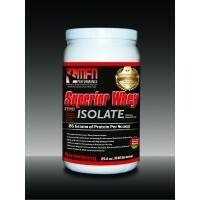 A really good isolate whey product. Feels great and has no stomach effects, really easy in digestion. I also like that it is a "clean" whey and contains no sucralose, no artificial sweeteners and no creamers and oils like 90% of other protein brands. 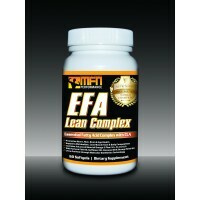 Hope MikeFit and MFN keeps up with the 100% quality of their products. This is the best whey isolate I have tried, no dangerous ingredients, undenatured and all-natural sweetener stevia. And coming from MikeFit you know it is quality ! I received Superior Whey by MikeFit / MFN about a week ago. I've been using it everyday so far. After using this for a week I believe that I can say total confidence that this is a great product. The powder smells great! It mixes great and goes down easy. The chocolate flavor is nice and sweet but not too sweet. I would definitely recommend this protein. I have tried many whey proteins and this is truly excellent...a really clean product with not a single hidden or unknown ingredient. There are a number of wonderful whey proteins out, yet I honestly like this one the best...No sugar, no fat...and tastes great! Thanks to my best friend who referred me this amazing protein. I've went through so many in the past before and was never satisfied since they either had too much added sugars and fats, or they had a bunch of cholesterol and sodium. This protein has zero of EVERYTHING. Not to mention, it is also a natural protein and doesn't use artificial sweeteners or sucralose like 90% of other protein powders. This is easily my all-time favorite protein product. This is the only protein I have ever used where I could actually notice a difference. Taste is great. Mixes easily. High quality Ingredients. Thanks to my friend for recommending me this, otherwise I wouldn't have ever known about this product. This chocolate whey protein taste amazing! Ingredient List is the purest and highest quality I've ever seen. Went through almost a whole year of this and still not sick of it. It blends and mixes well with plain cold water or other ingredients. I also really enjoy the fact that is has no artificial sweeteners and contains zero sugars or hydrogenated oils like others. This is the highest quality protein I've ever used. No junk ingredients, chemicals or unnecessary ingredients. Just pure protein without any artificial. Love the taste as well! This protein is by far the best protein I have ever had. 1. Chocolate taste great and works well with both water or milk. This protein has been great. Hands down. 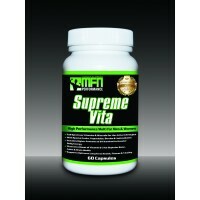 I've had proteins of the top name brands, like Syntha- 6, ON gold standard, Dymatize etc. I've been training for about 4 years. Tried all types of Protein powders and I can say that this is my all-time favorite. I purchased this whey isolate because it is pure protein. A full serving (two scoops) is 56 grams of protein. I have enjoyed it because it is a soft powder compared to regular protein and mixes very easily. I also never got the same bloated feeling that I do with other drinks, including Muscle Milk. It is a simple powder that performs well. 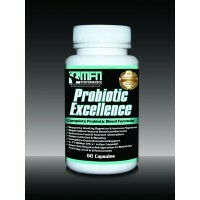 MFN PERFORMANCE PROBIOTIC EXCELLENCE (Multi-Strain Digestive & Gut Health Formula) - Top Seller!